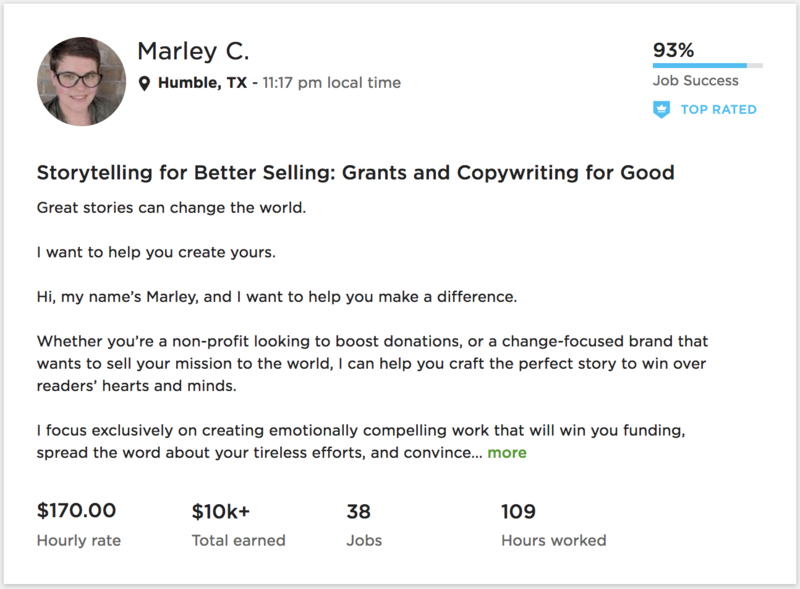 Results not typical from PRO freelancers. You may get worse, better, or no results at all. If you have any video software, want to buy one, or want to just use video creating freelancers you need to have sales scripts for videos so those videos actually sell instead of just look pretty. I'm about to show you how you can generate high impact sales scripts for your sales videos, explainer videos, social ads videos, sales presentations, and even make webinar slides by simply swiping done-for-you templates and filling in the blanks. And yes, you will be able to sell any product or service for any niche. PLUS - all the templates are already done-for-you so you do not need any sale script making experience at all. While products must be good and useful, it is a sales copy which makes them successful. Without explaining the value and benefits of the products and why they are better than competition, very few people will buy, so such products most likely will fail. I have seen many amazing products fail because of bad sales copy. It is clear that without compelling sales copy, all time, effort and money invested in the product are wasted. 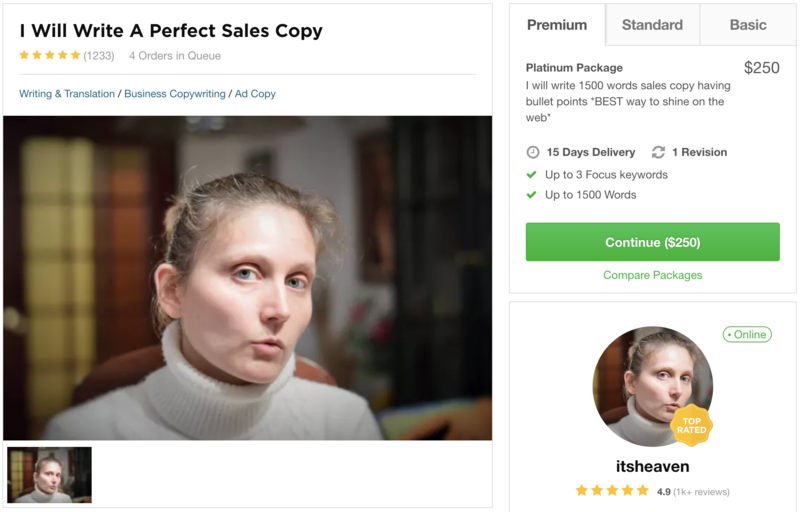 Traditionally, while creating a sales copy, you used to have only two options: write sales copy yourself or hire a copywriter. 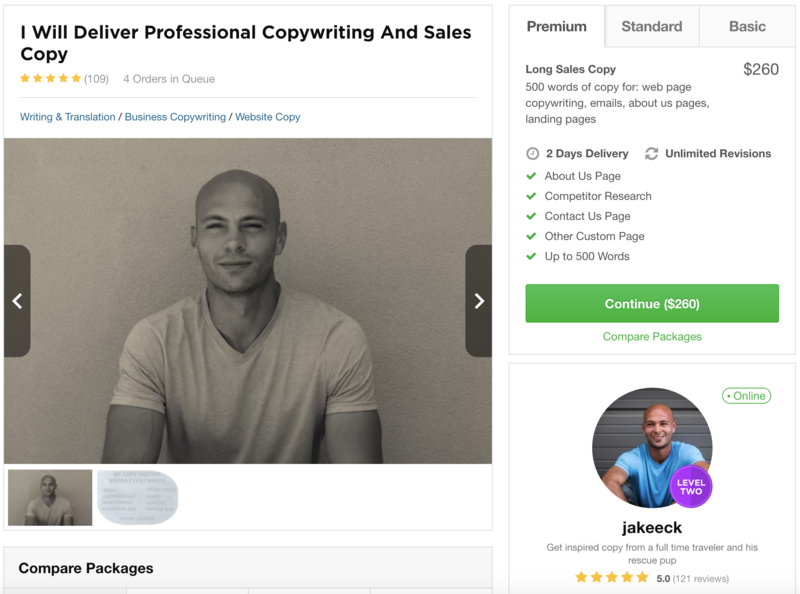 Learning to write a compelling sales copy is a very difficult and long term process, which can take you years to master and can cost you a lot of money on copywriting courses. And even then just writing for yourself is not good enough. You need to put the sales copy in front of potentials buyers over and over again until you finally get it right.sweepstakes. 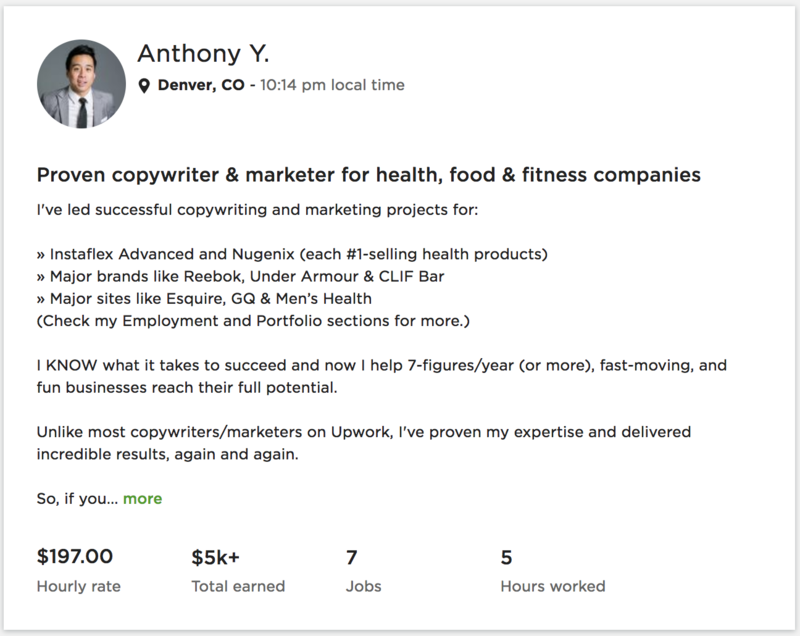 It really takes a lot to become great copywriter. 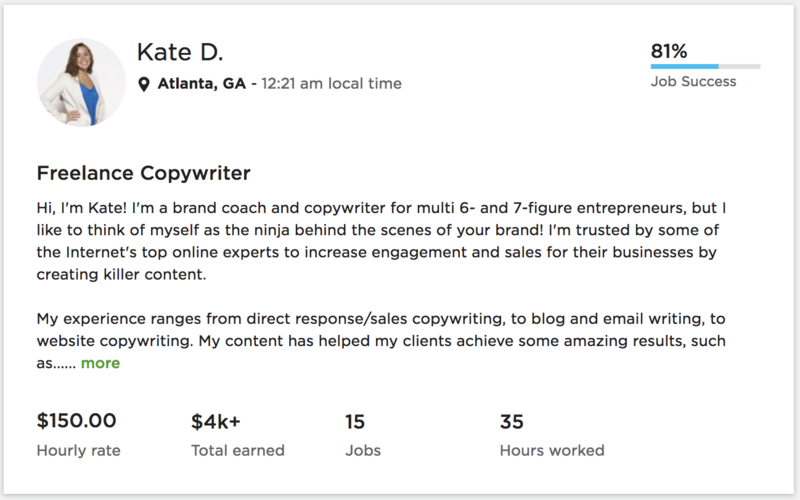 If you do not want to spend time, energy, and money to learn copywriting, the only other option that used to be there was hiring a professional copywriter. 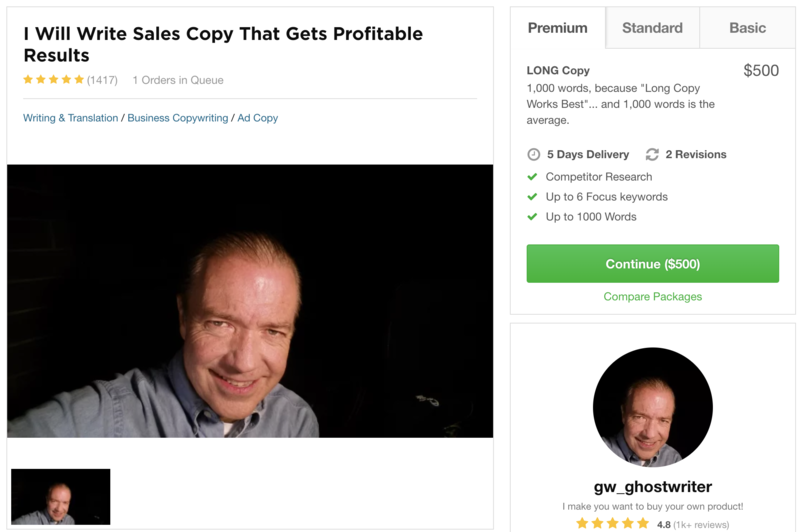 The problem with it is that it is not only very expensive, with prices like $5,000 for a single sales copy with 50% often paid upfront, but nobody knows your product better than you. It means that it can take you weeks communicating back and forth before a copywriter is even close to understanding your specific product, and even then the sales copy may fail to deliver results because something was misunderstood or missed. This is why today I am extremely excited to announce that you no longer have the only two traditional option to have your sales copy done. 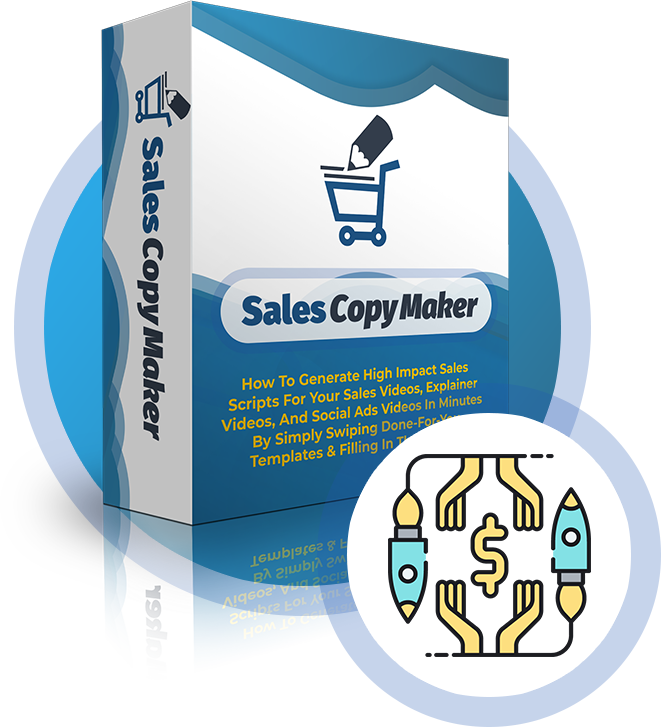 From today I give you the 3rd option - SalesCopyMaker software. 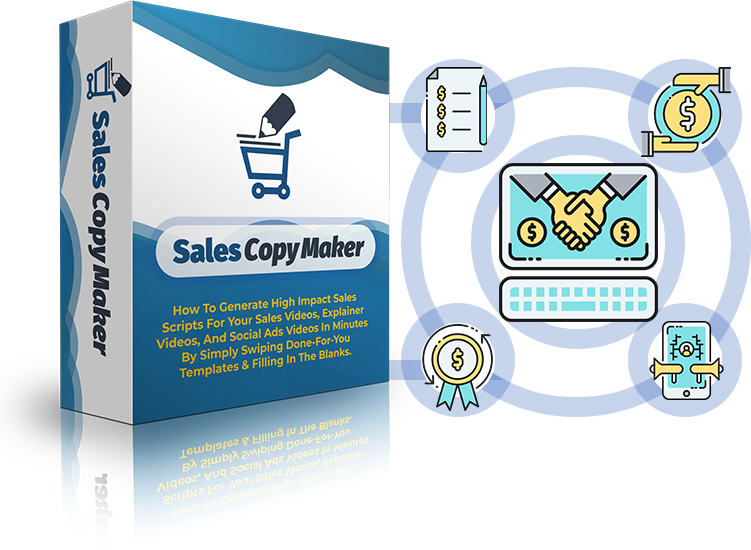 SalesCopyMaker is a new, first of its kind, groundbreaking app, which allows you to generate full length sales scripts by simply swiping done-for-you templates and filling in the blanks. 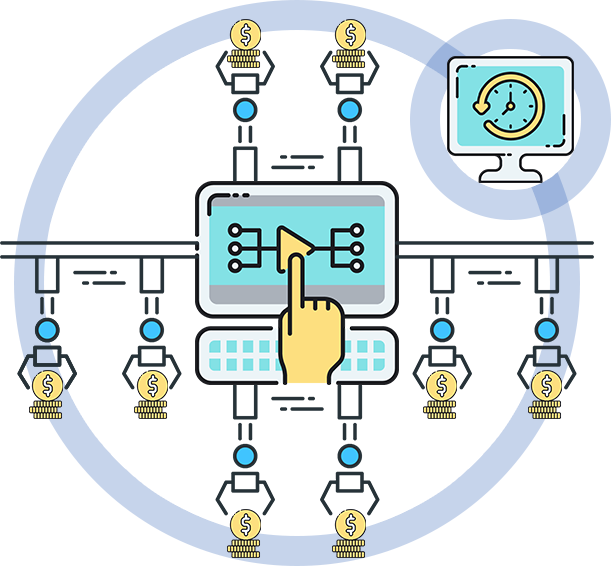 SalesCopyMaker will walk you through series of screens where you simply fill in the blanks with things like product name, product price, benefits and so on. 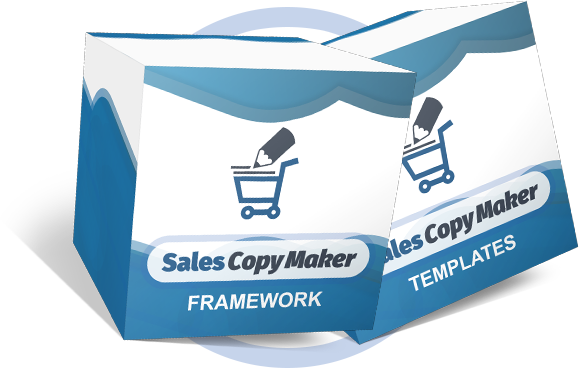 SalesCopyMaker is a cloud-based tool. 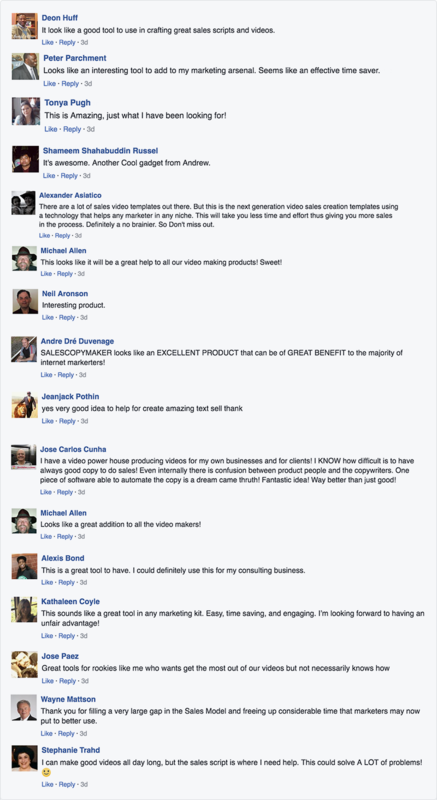 Chances are, since you’re still watching this video, you know how powerful these sales scripts are. Ok – I mentioned a case study earlier and I want to break it down for you. 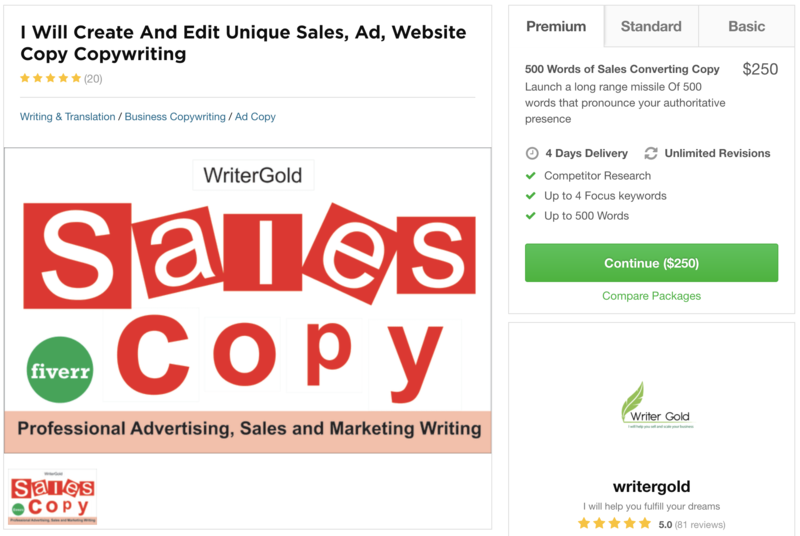 Sales are the lifeblood of every business so businesses, marketers, and entrepreneurs, all need to have effective sales copy to sell their products and services. 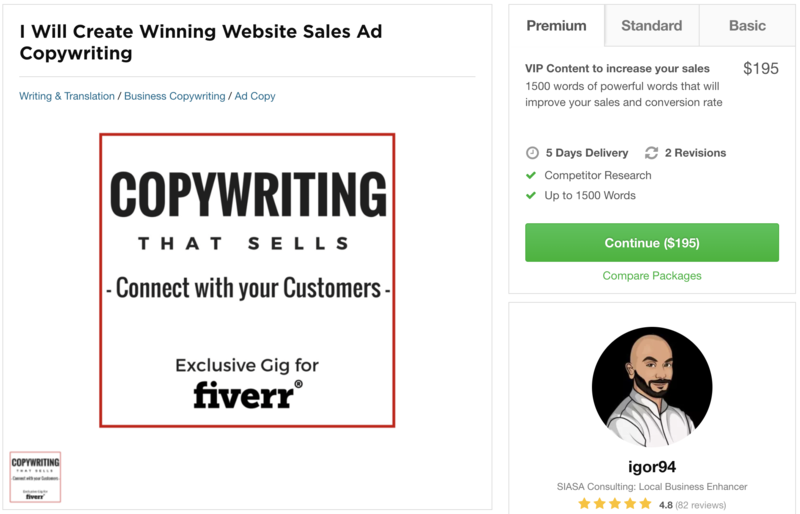 SalesCopyMaker Agency license, which you can choose on this page, can help you cash on the fact that most businesses do not have in house professional copywriter, and instead hire freelancers, and pay for their services. 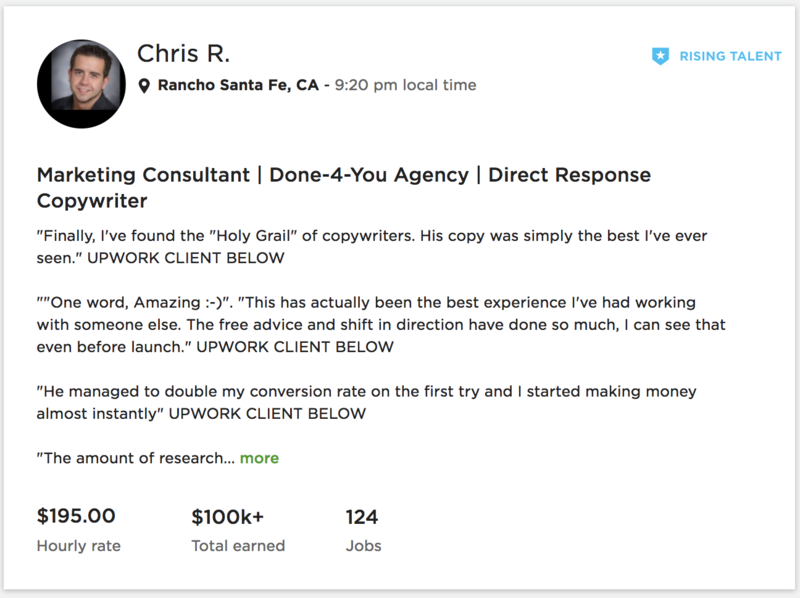 For example, fiverr freelancer named gw_ghostwriter” charges his clients $500 for a single premium gig which is up to 1,000 words sales copy, and he already has more than 1,400 reviews. 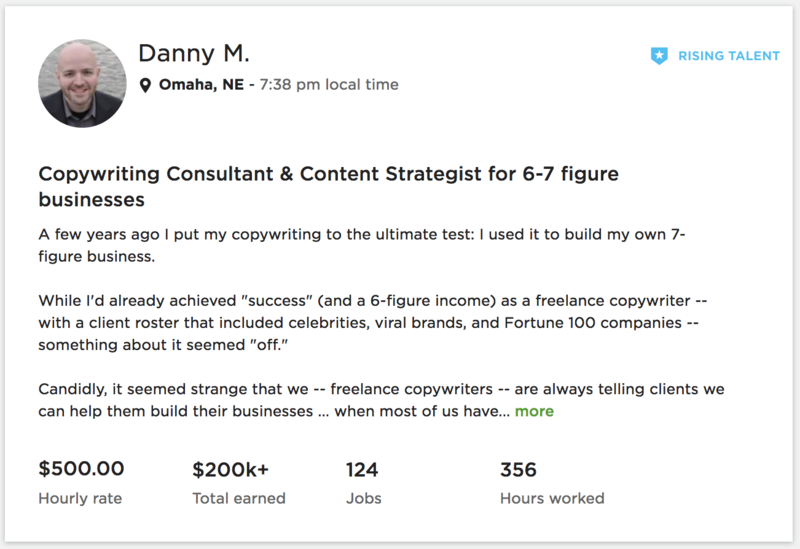 Upworks freelancer Danny M charges $500 per hour for copywriting consulting. Till now, he already earned more than $200,000 from 124 jobs. 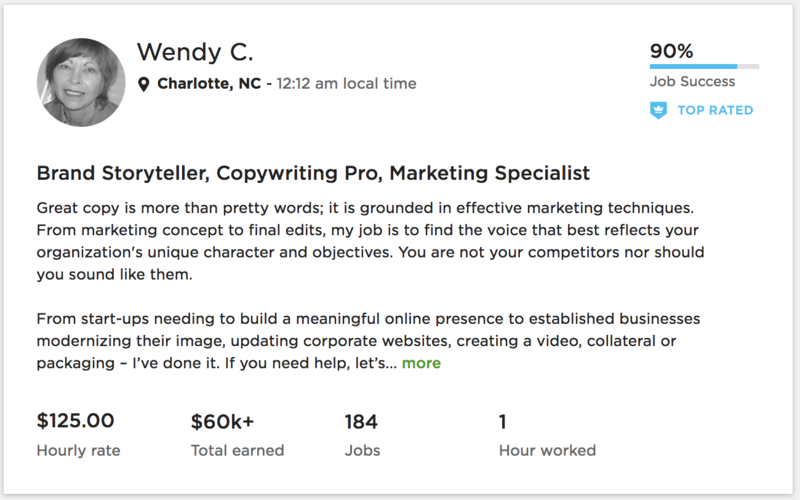 Here are a few other freelancers selling similar services, like Wendy C who charges $125 per hour and already collected more than $60,000 for her work; or Anthony Y who asks for $197 per hour and already made more than $5,000 from first 7 hours worked; or Chris R. whose rate is $195 per hour and has already made more than $100,000 from his copywriting. Because businesses always need more sales copies the amount of work is endless but you do need to have the cutting edge tool to enable you to do that and stand out from other freelancers. 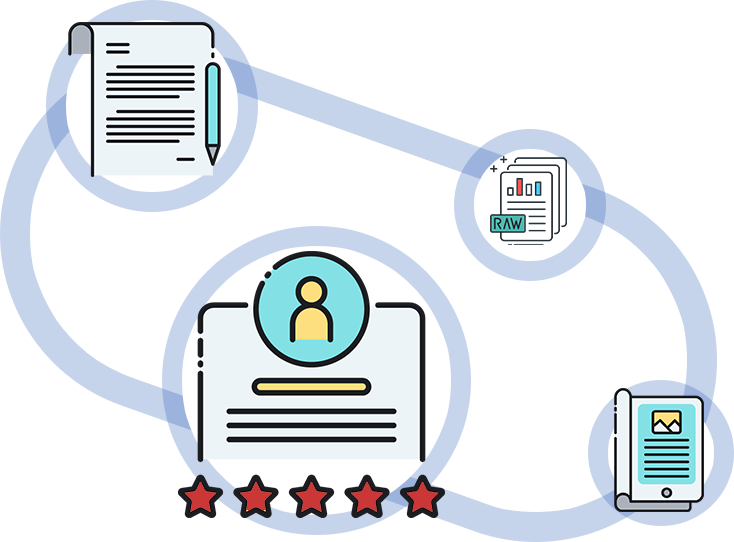 SalesCopyMaker agency might be just a foot-in-the-door tool that you need for businesses to chose you instead of your competition.. 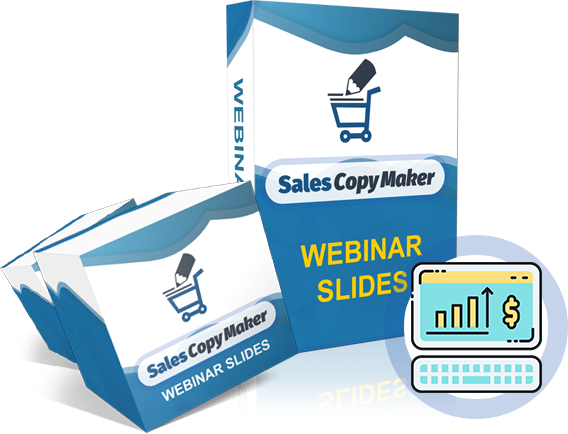 I want to tell you a little bit more about SalesCopyMaker. You see, I got involved in SalesCopyMaker for myself and my own businesses. I have created from scratch several 7 and 8 figure businesses, from retail brick-and-mortar store, through physical products wholesaler, internet service provider, online business selling info products in many niches, software business with online only sales, to online shopping cart and affiliate platform hosting large number of independent online vendors selling all kinds of products. And through all those experiences, I have witnessed the massive impact sales copy has on success or failure of the product. 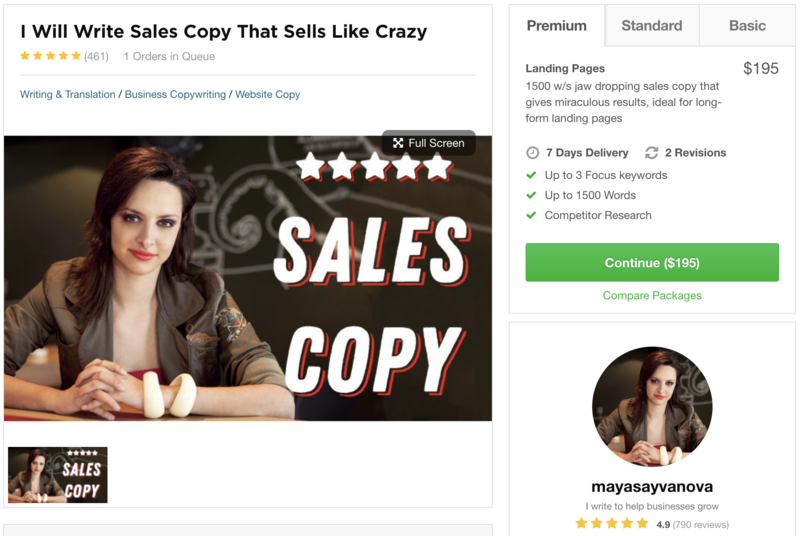 This is why SalesCopyMaker has been an important project of mine for quite some time and I made sure that all templates and frameworks are up to the highest standard to effectively convert visitors to buyers. 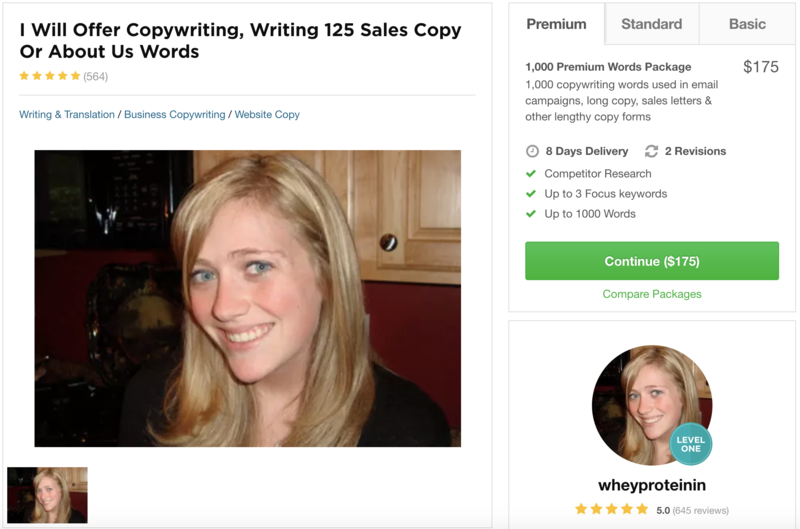 SalesCopyMaker is using proven copywriting formulas inspired by the greatest known copywriters. Sales copies based on the same fundamental key copywriting principles, which are the base of SalesCopyMaker frameworks, worked great for my own businesses for over three decades, and even helped me to make sales presentation which resulted in selling one of my businesses to public company listed on stock exchange. 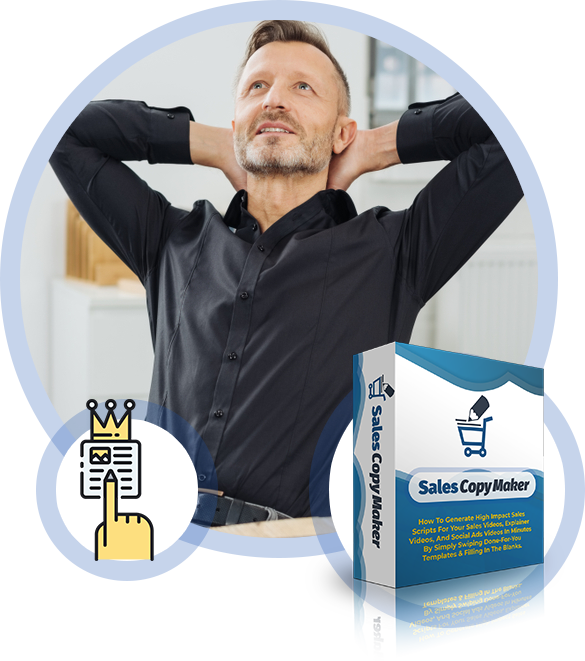 Today I am proud to announce that SalesCopyMaker allows even complete beginners to finally create sales scripts that tremendously help with sales. Webinar Slides framework lets you make webinar slides like you could never do before. 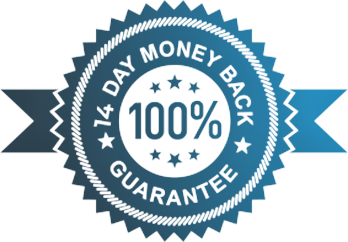 We are the established market leader of most sought after marketing automation tools in the market. Thousands of marketers, entrepreneurs, and businesses are already using our software with more joining every day. 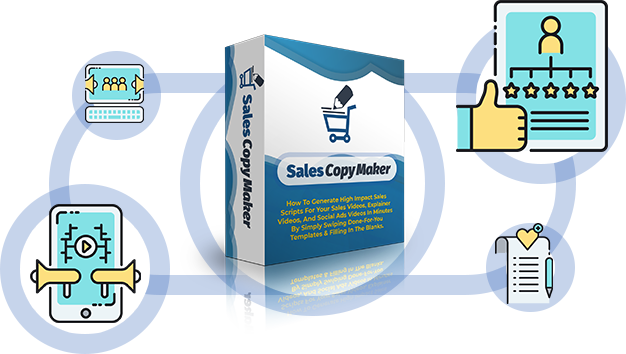 SalesCopyMaker software will change the way sales scripts are created to generate more sales and profits. PLUS you can get your hand on this software at very special discounted price today. 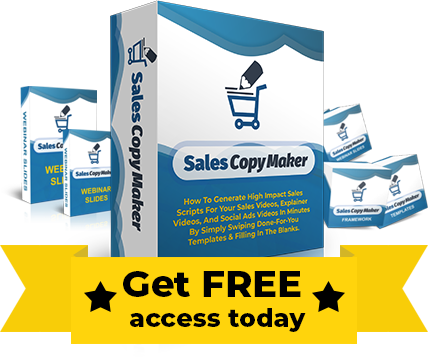 SalesCopyMaker is going to give you the “unfair” advantage over your competition so grab your access to SalesCopyMaker today. We’ll see you on the other side. Q: Do I have to install SalesCopyMaker on my computer? No, SalesCopyMaker is web/cloud software so you do not need to install anything on your computer. 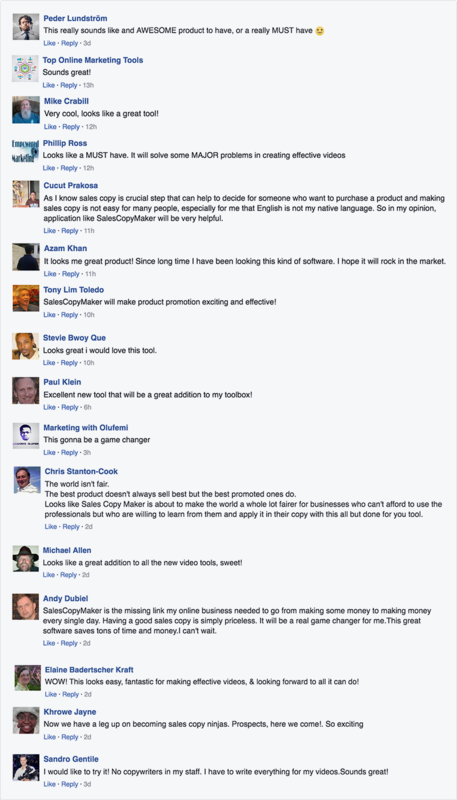 Is there a monthly fee to use SalesCopyMaker? 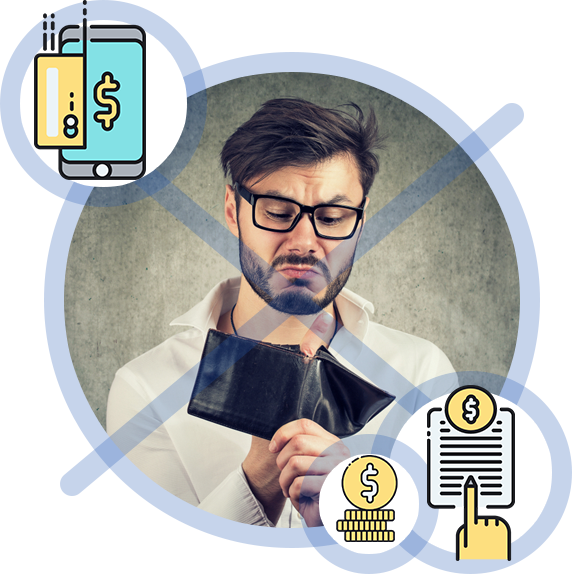 Currently, SalesCopyMaker membership is being offered with a one off payment.  We plan to switch to a recurring membership model in future, when new customers will pay a monthly fee for software use. BUT anyone that orders now is grandfathered so you will never be billed again.